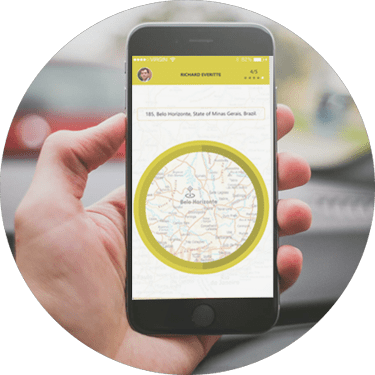 Specially designed mobile apps exclusively for active drivers for picking up riders and to earn an additional income by using taxi booking software. Reliable mobile app for managing the bookings made by the registered passengers and automatically pass them to the nearby drivers. 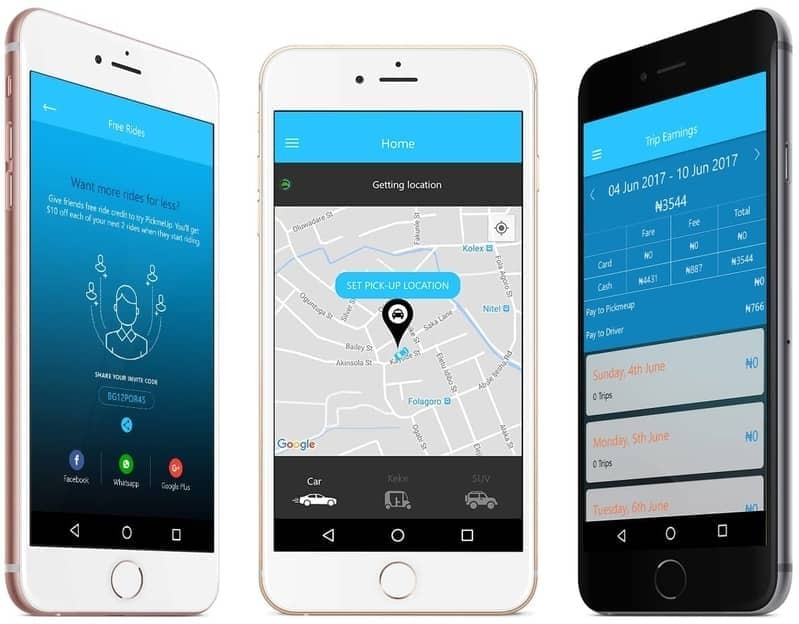 Mobile app for assisting passengers to book trips instantly whenever in need of a taxi service and automated payments for tension-free trip. The Admin panel tracks the instantaneous location and performs live monitoring of the on-going rides based on GPS enabled system. One of the most featured and user-friendly cab booking app built on Android and iOS platforms provide various specifications like secure login, instant alerts, payments and rating facility. 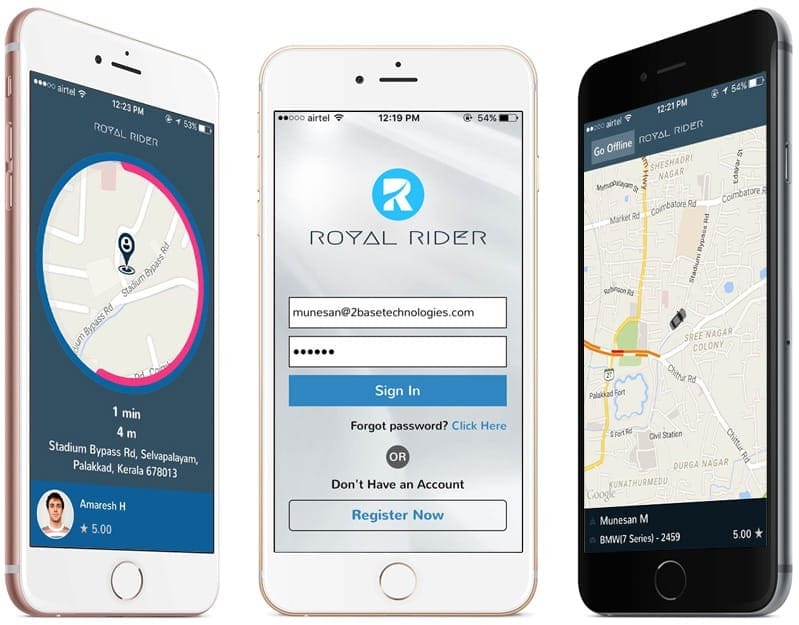 Complete ride sharing platform having the features like goole map integrated location tracking, instant notificaiton, trusted drivers, strict docuement approvals, cridit card and payment integration for future payments. Lezggo is a ride sharing application which can be used by both drivers and passengers by a simple registration. Lezggo is basically a taxi app which provides 24*7 ride sharing services to meet the transportation requests anytime. There are options for reviewing profiles of drivers and passengers before confirming a trip to begin. 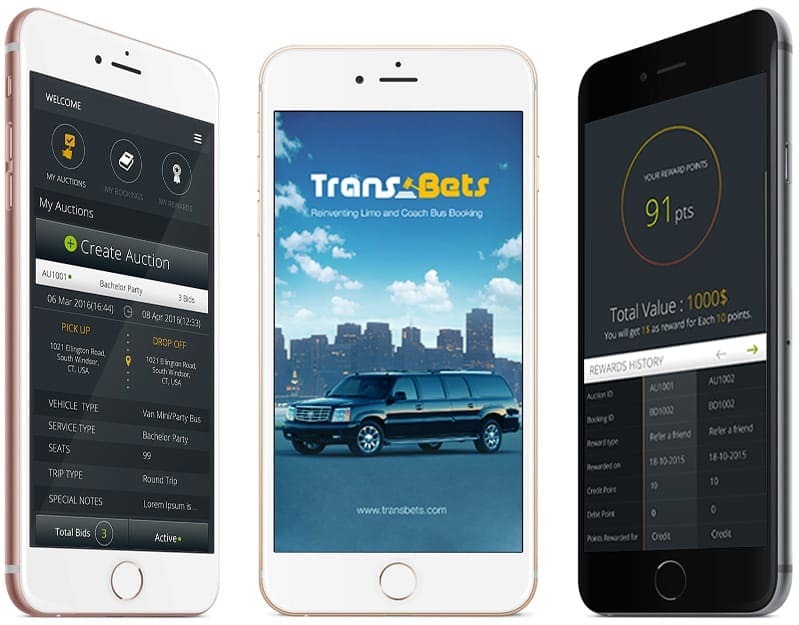 Transbets is a business trips/auction management service in United States, having features like manage auctions, nearby auctions list, instant notificaitons, live updates, bid facility, choosing best bids, paypal/credit card integration etc. 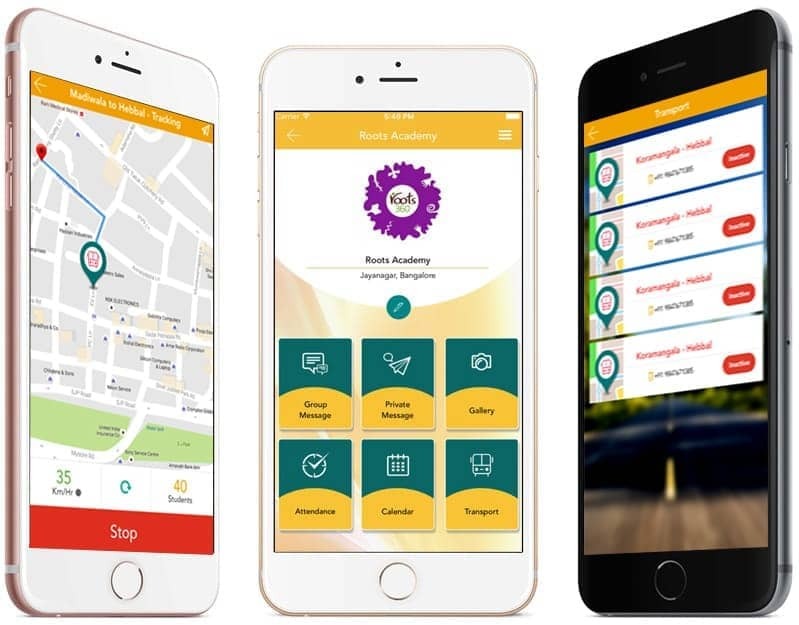 School parent communication platform using the smartphones, having features like sharing multimedia files, transport, attendence, events, notifications, newsletters, group/private messages, instant alters and much more. 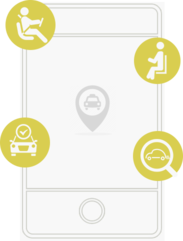 The most attractive facility of our taxi booking app is real time GPS tracking. 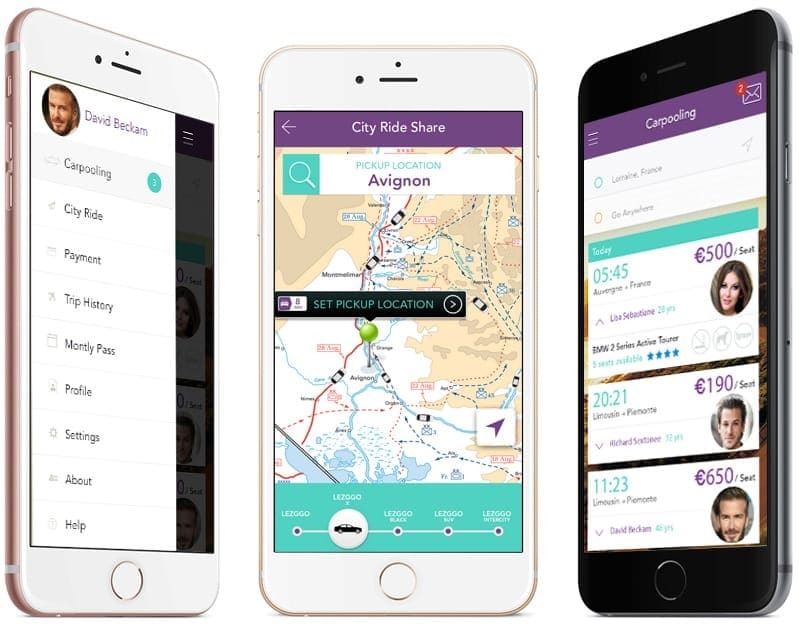 Once a trip is initiated, the location of rider and driver is identified & instantly updated during the whole trip. When a passenger registers in our mobile app, one time authentication for credit card/paypal details are processed. This will enable automated future payments in our taxi apps like uber whenever the passenger makes a trip. The fare calculation is absolutely automated based on the time, location, duration of the trip, distance travelled and waiting time, if applicable. After payments are done, E-receipts are generated. The iOS/Google navigation module is integrated in the mobile app. Map is displayed on which the exact locations of drivers and riders are spotted and navigation is visible while travelling.